July 16 is Prime Day, and this year’s deals feature double discounts on Alexa-enabled smart home devices, including Echo, Fire TV and Fire tablets, Amazon reports. As the marketplace giant gets more and more involved in the lives of homeowners, could consumers start to see offshoots into other home-related services? Amazon-run home insurance could be the company’s next endeavor, according to The Information, a technology website. Although Amazon has not yet provided concrete evidence for insurance plans, it would make sense due to the company’s most recent partnerships. From plans to create a line of robots to be used as homeowners’ personal assistants, to the latest collaboration with Lennar showrooms to promote its line of smart home products, Amazon is already deeply entrenched in the lives of homeowners. The alleged reason for this possible next phase in Amazon’s services? The company’s various tech products could help monitor for dangers such as burglaries and fires, resulting in more affordable premiums, reports The Information. Amazon has already made moves into the healthcare industry to build out its medical supply business, so an insurance division isn’t outside the realm of possibility. If Amazon did form its own insurance division, what would it look like? In order to beat out the competition, there may have to be a sizable price difference in premiums and an added catch for consumer convenience. A traditional financial model may not be feasible for a company that needs to juggle its Prime audience base, along with several other technological innovations, to stay relevant. However, this could be more of a partnership than a foray into its own segment of home insurance. Since regulations vary by state, it would be difficult for Amazon to establish a national presence under its own umbrella without investing an abundance of time and money to maintain a legally intricate service. Another concern? 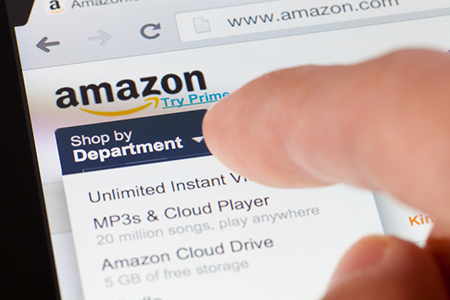 Amazon would need to have the necessary funds available to create a pool of reserves for any upfront claims payments. In order to cut costs, Amazon may be able to sell consumer information it gathers from its smart home devices—in December alone, the installed base of Amazon Echo devices in the U.S. amounted to 31 million units, according to Statista. This way, the company would be able to barter data in order to profit from already-established insurance institutions and further negotiate consumer discounts, similar to the way insurance companies currently provide credits to homeowners who have security systems installed at their properties. According to Statista, the global smart home market will reach an estimated value of over $53 billion in the U.S. by 2022. Will future homes be run by Amazon? It’s starting to look that way.